Can you guess our favorite place to find design inspiration? YOU! Every day we get more and more design requests, and we can't wait to feature them all! This week's designs are all part of a brand new Request-fest! 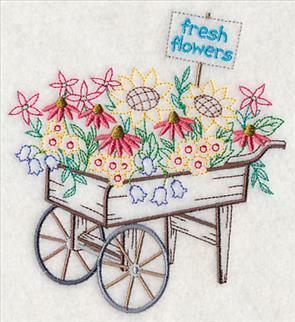 Stitch a series of lavender designs on your next summer project, or give linens and towels a whole new look thanks to flowering cart designs. 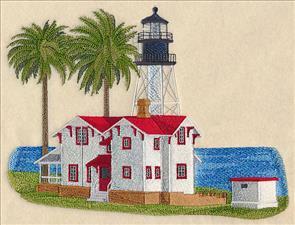 Quilting clotheslines, French bakery desserts, a new lighthouse, and a pair of hen and rooster motifs are all available too! Thank you for all your excellent suggestions! We love showing off your fabulous design ideas. Enjoy! 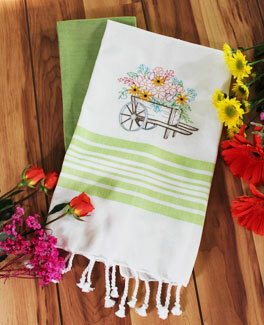 Update your dining linens with these beautiful blooming carts -- they're a great way to add color to your kitchen! 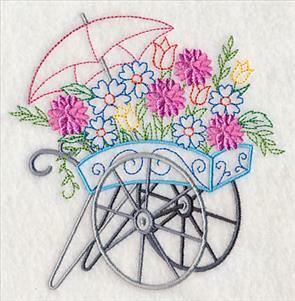 Cute carts in various shapes and sizes overflow with an array of stunning flowers, and are terrific options when stitching colorful summertime projects. 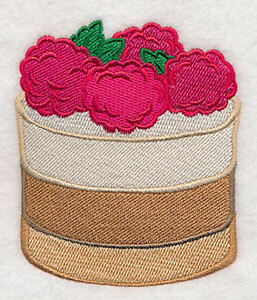 Each of the designs features a different flower prominently -- pick your favorite to stitch! Thanks, Linda, for suggesting these beautiful designs. 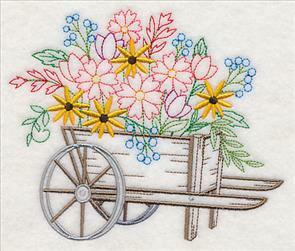 5.85" x 4.87" and 3.85" x 3.21"
These blooming carts are full of light and airy stitches, with lots of open spaces between the various colors and lines. These types of designs are perfect additions to smooth and neutral fabrics, such as quilter's cotton, denim, and canvas. 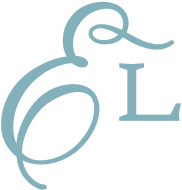 4.85" x 5.79" and 3.23" x 3.86"
The lovely, light designs are also great choices for low-nap projects, such as tea towels, canvas tote bags, and table linens. 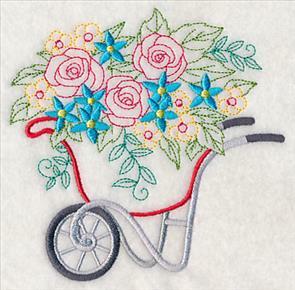 Plus, the combination of running stitch and satin stitch gives the flower carts varying levels of depth and texture. 4.85" x 4.85" and 3.85" x 3.86"
Not only do the designs show off a variety of different flowers, but each of the carts also has its own distinctive flair, too. 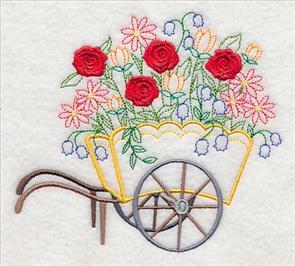 Wooden wagons, a red wheelbarrow, and other cart designs are all shown in these floral embroidery designs. 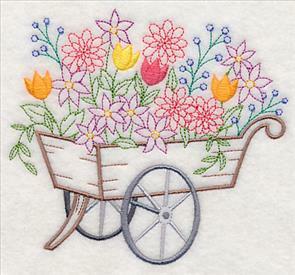 5.41" x 4.86" and 3.86" x 3.47"
Use the individual links above to buy your favorite flower cart design, or purchase the design pack to get all seven designs! 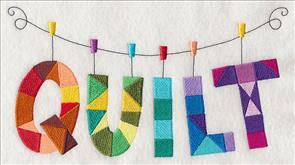 Quilters, unite! After seeing our existing collection of crafty clotheslines, a few of you suggested we add quilting designs to the bunch. 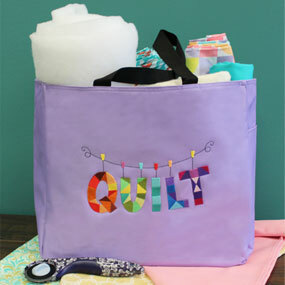 Show off your love for your favorite craft with these creative clothesline designs! 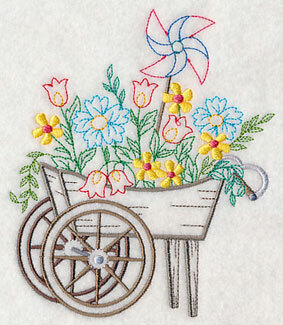 9.38" x 5.08" and 7.78" x 4.22" and 6.85" x 3.71"
This clothesline design is a terrific choice for tote bags (and especially for quilting bags!). 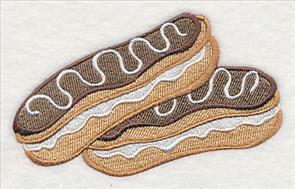 Clothesline designs are ever popular, and are terrific embellishments on quilts, shirts, wall hangings, and more! 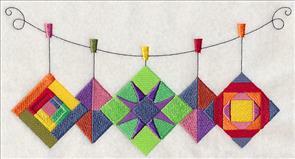 Stitch a row of hanging quilt blocks, or try out a "quilt" design with hearts. 9.38" x 3.84" and 7.78" x 3.19" and 6.85" x 2.81"
Connie wrote in saying she'd love to see some realistic depictions of lavender, and we were happy to oblige! 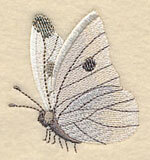 Here, a wreath of the aromatic plant attracts a handful of lovely cabbage white butterflies. 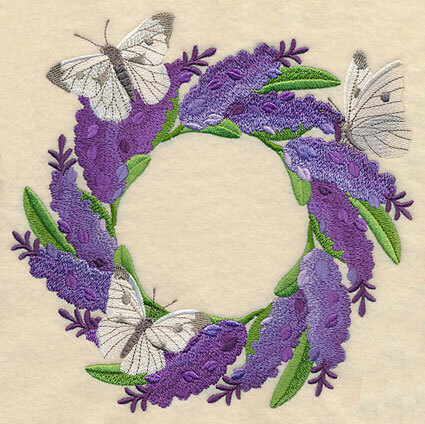 7.68" x 7.77" and 6.87" x 6.95" and 5.85" x 5.92" and 4.85" x 4.90" and 3.85" x 3.90"
These beautiful lavender and butterfly wreaths are fabulous when stitched on pillows, quilt squares, wall hangings, towels, totes, and more! Stitch the wreaths on matching projects to show off the designs. 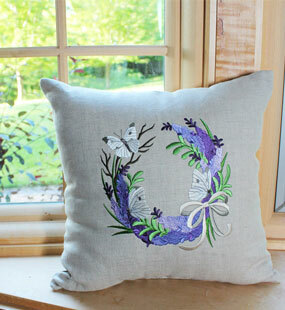 This delicate, graceful wreath design is a lovely addition to any pillow! 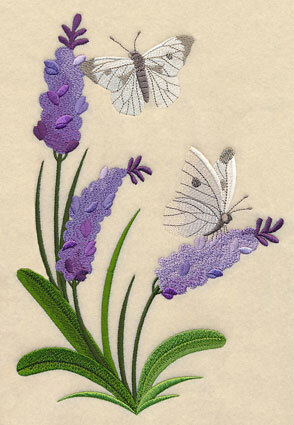 Add an elegant touch to pillow shams, quilts, table linens, and more with these stunning lavender designs. 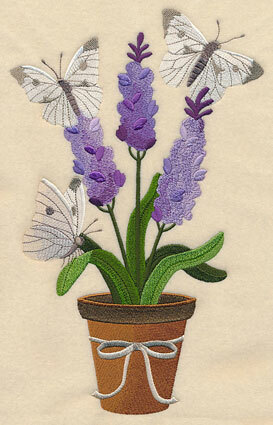 They're sure to bring graceful beauty to your summer stitching! 6.90" x 10.24" and 5.86" x 8.69"
5.25" x 7.79" and 4.63" x 6.87"
6.89" x 10.93" and 5.81" x 9.21"
4.90" x 7.77" and 4.33" x 6.85"
Lavender is most often used for garden and landscape use, for use as culinary herbs, and also in bath products and essential oils. 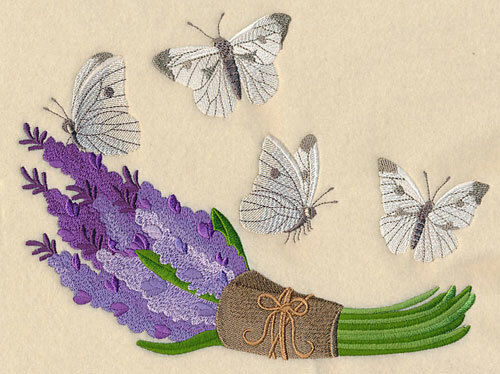 This collection of lavender and butterfly designs is just as versatile -- try them on gardening gear, in the kitchen, or as a way to update your bath decor! 9.29" x 6.87" and 7.94" x 5.87" and 7.18" x 5.31" and 6.53" x 4.83" and 3.88" x 2.88"
Pair the lavender and butterfly designs above with a gorgeous matching border that's great on bedtime linens, quilts, blankets, and more. 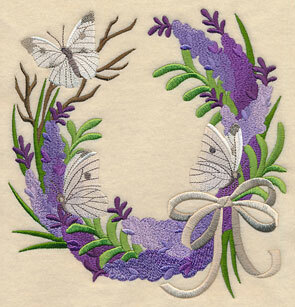 If desired, try the endless hoop version to repeat the border a few times across your project! 11.72" x 3.69" and 9.36" x 2.95" and 7.77" x 2.45" and 5.97" x 2.11" and 3.89" x 1.22"
Finish off your lavender collection with a trio of stunning designs. 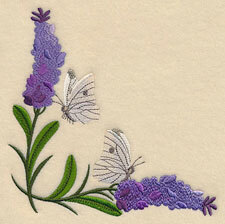 A vertical border, a delightful corner design, and a single cabbage white butterfly are terrific additions to the lavender and butterfly motif. 3.67" x 11.71" and 2.94" x 9.37"
2.44" x 7.77" and 2.13" x 6.80"
6.18" x 5.85" and 5.11" x 4.83"
Create a project using all the lavender designs, or select your favorites using the links above. 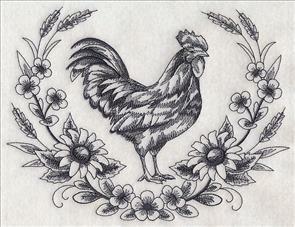 Mary loved the idea of an elegant filigree rooster, and so did we! 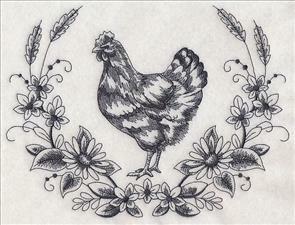 A blackwork hen is the perfect accompaniment to the sophisticated design. Angie is a fan of the Chocolate Nouveau designs, and was inspired to suggest a similar series featuring French patisserie treats! A mini fruit tart and a round mini cake kick off the design collection. 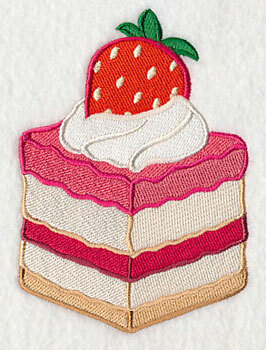 3.52" x 4.11" and 3.02" x 3.53"
A petit four and a slice of layered cake are both topped with sweet strawberries and a dollop of whipped cream. 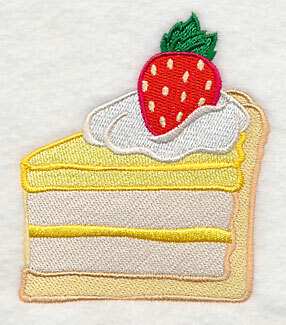 The French bakery delights are particularly great for stitching on kitchen items, such as tea towels, aprons, wall hangings, and more. 3.52" x 4.08" and 3.05" x 3.53"
In addition to kitchen decor, these French patisserie designs will also look tasty on dining room linens (think placemats and tablecloths!) and other food-theme projects. 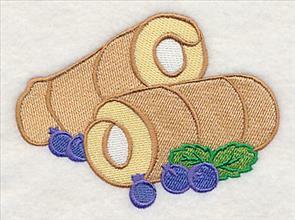 Here, French cream horns and eclairs look good enough to eat! 4.93" x 3.07" and 3.81" x 2.37"
Angie was especially excited about a new French macaron design, as the bite-size sweets are highly popular where she lives. 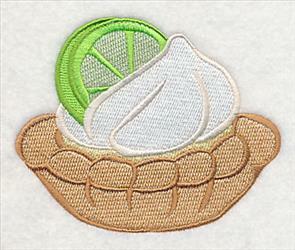 Stitch the dessert alone, or use all seven designs in one project together! 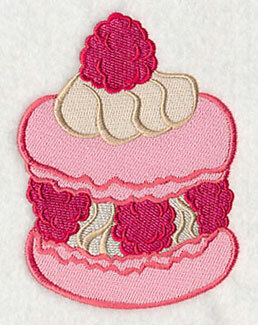 3.52" x 4.75" and 2.73" x 3.68"
Order these patisserie designs individually by clicking the links above, or get the entire pack with all seven designs. The New Point Loma Lighthouse is a prominent lighthouse at the southern tip of the Point Loma peninsula in San Diego, California. 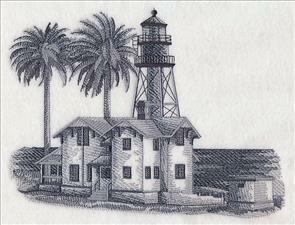 It was created to replace the Old Point Loma Lighthouse in 1891 because the older lighthouse was often obscured by fog. Mari requested a design of this majestic building -- thanks, Mari! 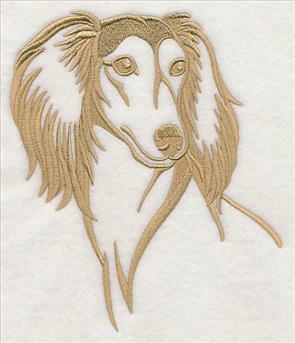 9.09" x 6.90" and 7.71" x 5.85" and 6.43" x 4.85"
Donna and her family are "owned" by a pair of Saluki sighthounds, and were hoping we would create some special designs featuring the beautiful dogs. Of course we will! 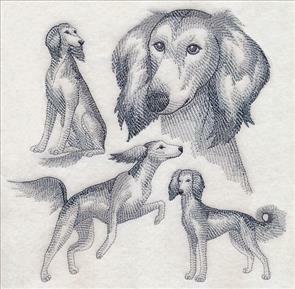 Stitch the sweet pups in two different ways: as a classic silhouette, or as a sketch-style medley. Thanks for your suggestion, Donna! 7.80" x 7.59" and 7.10" x 6.90"
6.03" x 5.85" and 4.99" x 4.86"